basically you will loosing velocity to gain portability.... you can load cleaver to get some back but not all..... there is someone (Scott Trail maybe??) using one with 10" barrel but he dials it up for anything much past hundy....trajectory/velocity will be .30/30....7.62x39mmish. I have had 3 short rifles a remington copy (I cant remember the brand) 13inch barrel, A remington with a 14inch barrel and a Tikka with a 16inch barrel all in .308. My feeling on them is the crown of the barrel has a fair bit to do with it, ask any target shooter ,and when they are shortened it is hard to get the crown as good as factory some do some dont. Personally I will never shorten another barrel. As far as performance goes they shot ok at the range with factory ammo.When hunting shoulder shots were 100% effect up to 150 metres. Head shots was a different story . 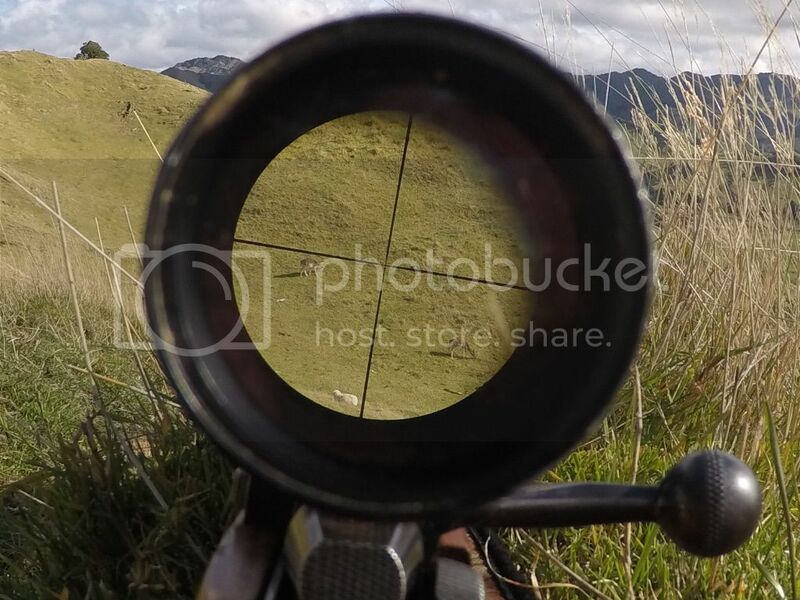 Where I am at that moment is a 20inch suppressed rifle that in normal conditions I can put a round in the eye of a deer at up to 250metres with belmont hunting ammo(about a dollar a round) if I needed to and it seems to have a bit more knock down power. Have a old Savage .223 cut to 15" (always thought it's 16" but measured it the other day and is actually 15") fitted with a DPT. 1. Subsonic for goats and wallabies while deer stalking and limit myself to <30m on this one. 2. 55gr Nosler BST for pest shooting and relaxed deer with head / neck shots out to 200m. 3. 55gr Barnes TTSX for pigs under 75m and if I have to go for heart shot on deer out to 100m. Yes I have to pass on shots but that is okay as the rifle is so light to carry that I sometimes forget the thing over my shoulder. Longest shot was 275m on a hare with no problem. Would I cut another bush rifle that short? Yes, definitely !!! I run a 15.5' tikka, shooting 168gr A-max (factory loaded) and with most of my shots under 150m its well within reach. I think from memory running the calculations on strelok I would have enough energy to kill out to 250ish, but if I have a chance of anything over that we tend to take the 300wsm. Love the short barrel in the Uruwera bush! I have a new barrel fitted to my old Alpine .308 (last full length barrel got shot out). New barrel is a never-fired old Parker Hale Sniper rifle barrel from Din Collings. It has a very tight custom chamber. Cut down to 16" including length of chamber so about 14" of rifled bore. Chamber is really tight - requires Small-Base resized cases to close bolt. Current load giving 2670fps is 45gn AR2206H with 150gn Sierra GK. I'm dialling for all past 250yd but its good for energy to 450yds - and shoots like a demon. Scott Traill did chamber reaming, the refitting, chop, and fitted one of his multi-module suppressors. Would I chop that short next time? No - I'd stay at 20" for the increased energy out to 500yds - which is my self-imposed maximum range for game animals. I will move to 168gn A-MAX once I've used up the rest of my 150gn SGKs for the improved cross-wind and down-range performance. am also considering taking a inch off the back of the stock. was thinking of loading 150 sst's with 2206h or would I be better going a little bit lighter+faster?125 sierra flat nose hollow point? what projectiles are you using in your 223 sub loads? I use the Sierra 125 flat nose hollow points in my 16 inch 30-30, pushed along with AR2208. No complaints with them, they drop fallow well and easily group well enough at 100m for hunting purposes (not gonna win any target competitions with my short M94 lever action!). For red deer I stick with 150 or 170gr projectiles (Hornady interlock or Sierra Prohunter), or the 160gr FTX which could be worth a look in 308 at slightly reduced speeds. I use the Hornady 55gr SP SX. Not much expansion but doesn't matter for head shots. Shot a big Billy earlier today right behind the ear and he just collapsed right where he was. Wallabies I try to go for the head / chest and they usually fall over after a few hops.